After a long morning doing yard work, I decided to call it an afternoon and get some relaxation. With that said, I had a rack of baby back ribs marinating overnight, and decided I would have an afternoon of smoking the ribs. Whenever I begin the smoking process, I always look for other items to smoke. This particular afternoon yielded not only the ribs, but a couple of trout, and for kicks, some portabella mushrooms that I had leftover from making pizza tots. I am always looking for new ideas and took a chance on the mushrooms. I had never smoked them before, so I was more than interested to see how they would turn out. Let’s just start by saying my wife loved them. I mean, really loved them. Yep, that’s it. Two ingredients. Big flavor. I use a vertical drum style smoker. It’s nothing fancy, but it holds the heat, and always does a good job, whatever the season. It also has a mid compartment which holds a container of water, which I like, to prevent direct heat to whatever I’m smoking. Heat your charcoals until they are nice and gray. Add to the bottom of the smoker, have the water compartment in place, and the top rack in place as well. Add the soaked wood chips to the coals, the place the mushrooms on the rack. Cover, and step away for a good hour. The initial blast of smoke is all you really need as you do not wan the mushrooms to dehydrate. Remove, and serve. I served mine in a some pasta with brown butter and sage, and well let’s just say there was no mushroom left behind. You get that earthiness you would expect in a mushroom with that great hint of smoke. It really adds nice depth to the mushroom. So next time you are smoking, try something new to place on the smoker. You’ll never know how good it might just be. So simple, yet so flavourful! Thanks for sharing this great summer recipe. 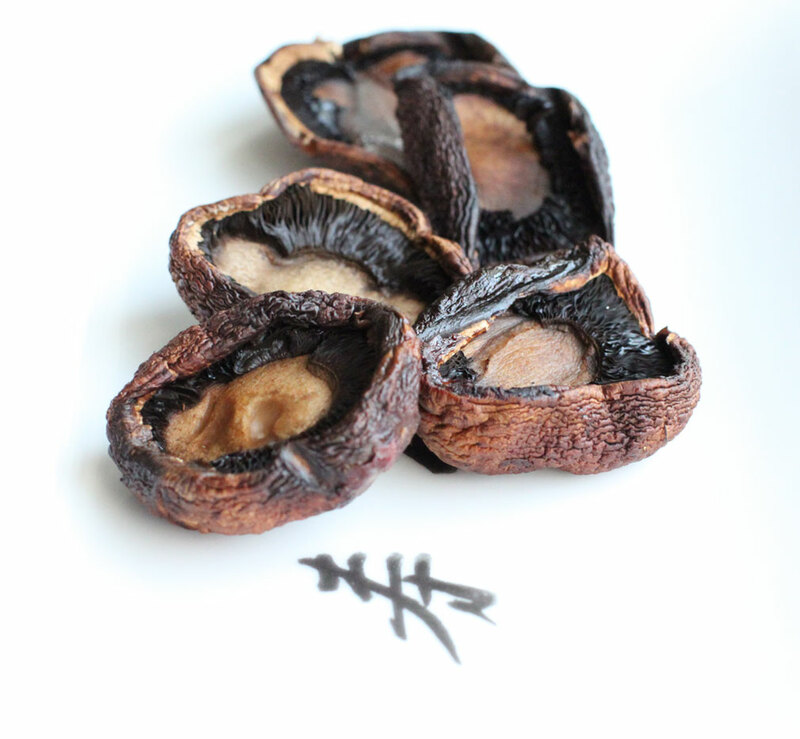 ever smoke mushroom caps stuffed with crabmeat? ever smoke mushroom caps stuffed with crabmeat and covered with cheese? Hi Bill, I have not tried smoking them with crab meat. I’ve baked them a variety of different ways, but never smoked them. Sounds pretty good though!